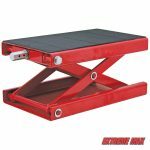 ORDERING & PICKUP. 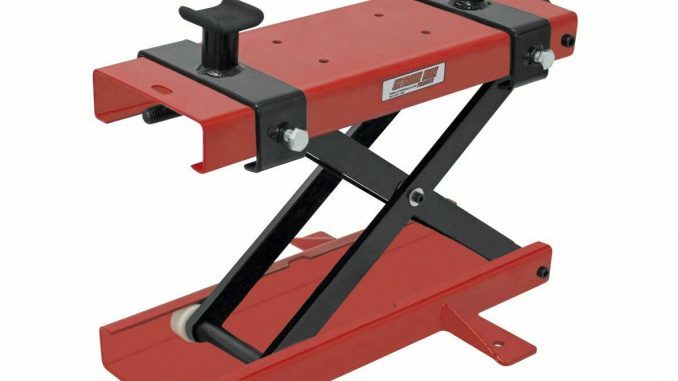 Call Larry @ [REDACTED] all product can be picked up in Lino Lakes, MN by appointment during the hours of 8:00-5:00p.m M-F or shipped for a nominal fee of $7-10.00. 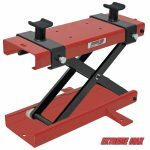 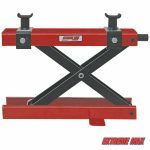 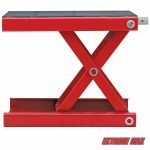 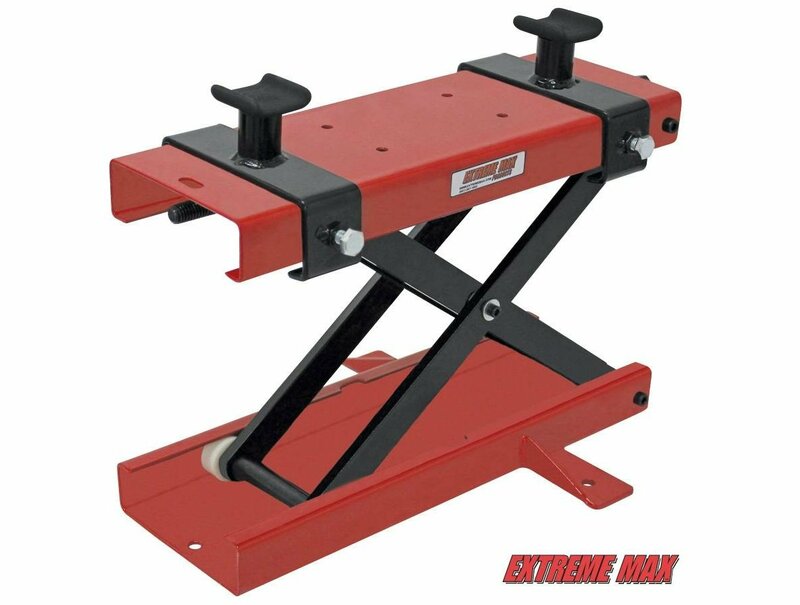 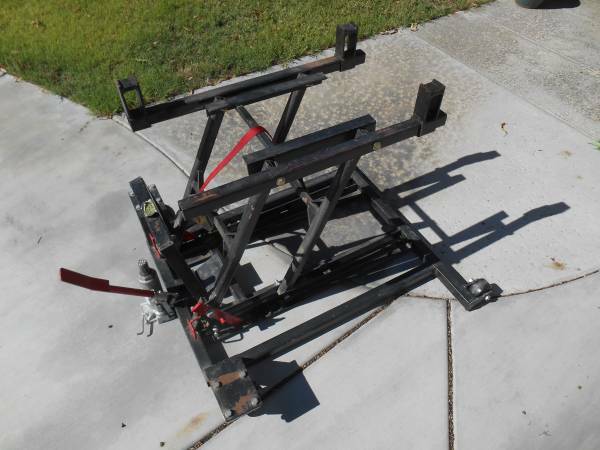 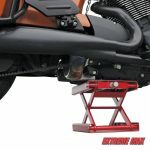 This sturdy steel scissor jack lifts motorcycles from 3-3/8″ – 14″. 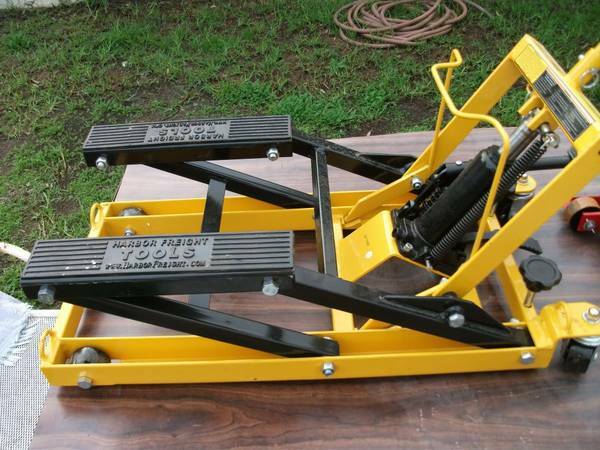 Center lift design is perfect for service and maintenance. 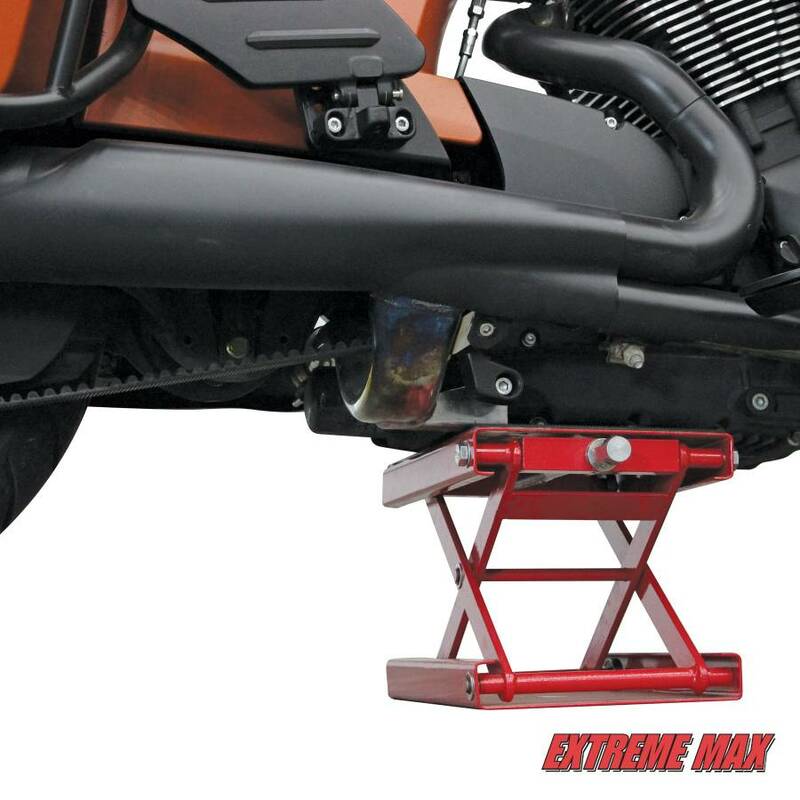 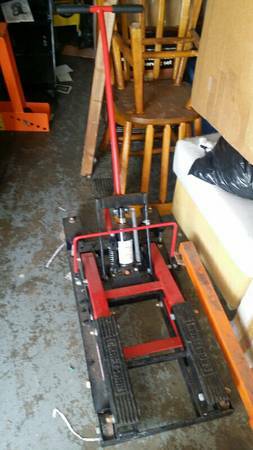 Lifts / lowers manually using 7/8″ socket or wrench (sold separately). 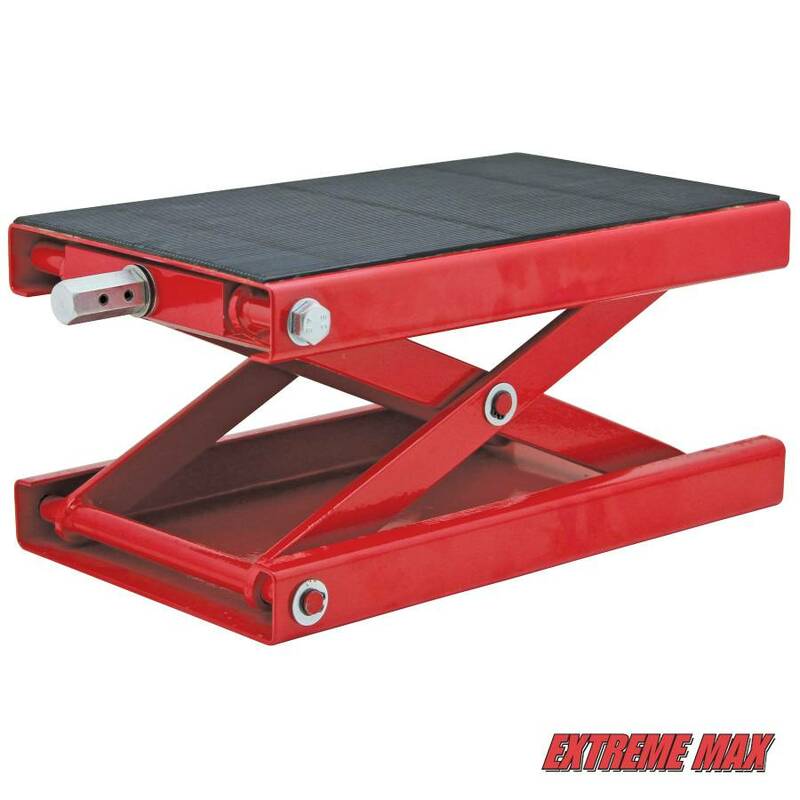 Durable, textured rubber padding adds stability. 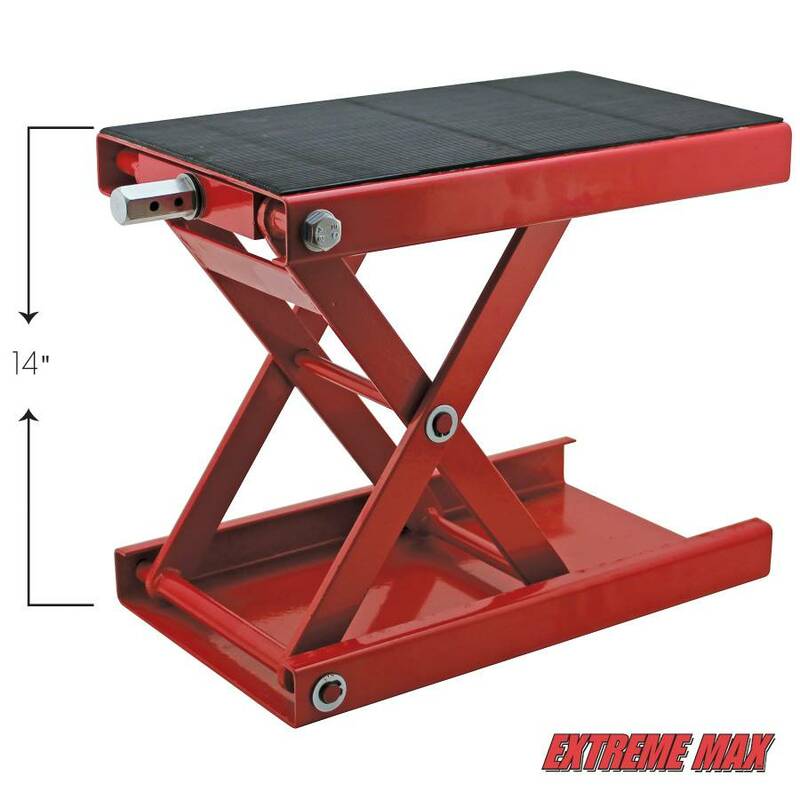 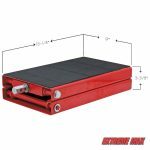 15-1/8″ x 9″ top platform. 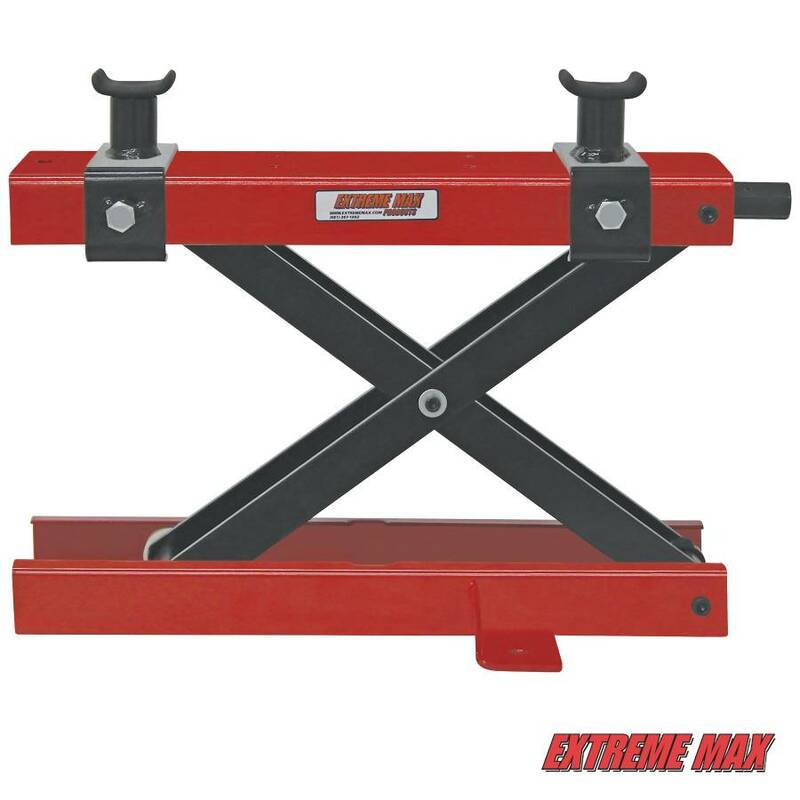 2-year limited warranty.